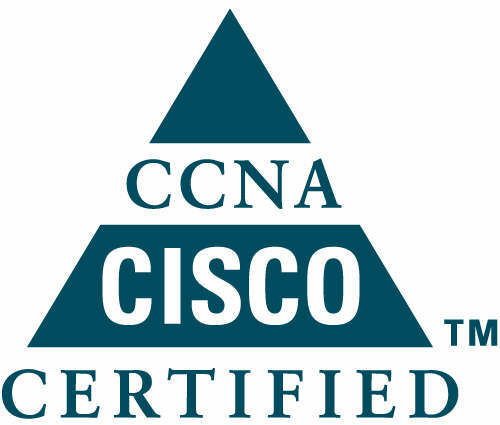 Cisco Certified Network Associate (CCNP) validates the ability to plan, implement, verify and troubleshoot local and wide-area enterprise networks and work collaboratively with specialists on advanced security, voice, wireless and video solutions. 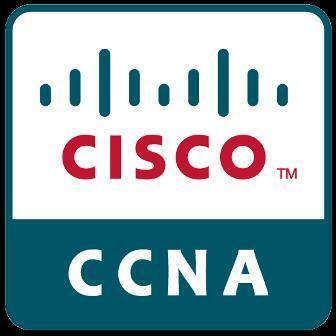 The CCNA certification is appropriate for those who are willing to enter in the field of WAN Technologies and would like to understand the CISCO Technologies. This CISCO CCNA Training Program in Karachi and CCNA Training in Pakistan is equipped you to understand the working of CISCO Routers on real time basis. 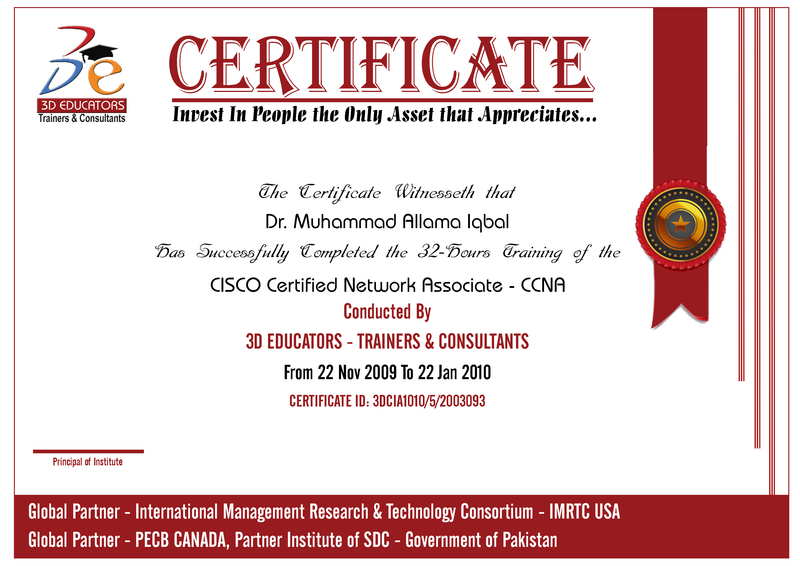 The CCNA Training Course in Karachi and Pakistan or CCNA Course in Karachi offered by 3D EDUCATORS and trained numbers of candidates in this discipline. The Course Covers the Exam Preparation and also equipped you according to the course outline. Further this CCNA Training Course in Karachi and Pakistan is also covered in our one of the unique diploma offered this is DIPLOMA in IT INFRASTRUCTURE WITH DATA CENTER AND ORACLE DATABASE. and that course covers a lot. Those who achieve CCNA have demonstrated the skills required in enterprise roles such as network technician, support engineer, systems engineer or network engineer. BS(CS), MBA, CCNA, CCNP, CCIP, CCIE R&S, Network Consultant. Over 8 years of experience in the field of ICT and having in-depth knowledge of data communication, he is a Network Consultant by profession and has worked with various organizations from Pakistan largest internet service provider to world largest networking company. He has also been involved in networking training for last couple of years. 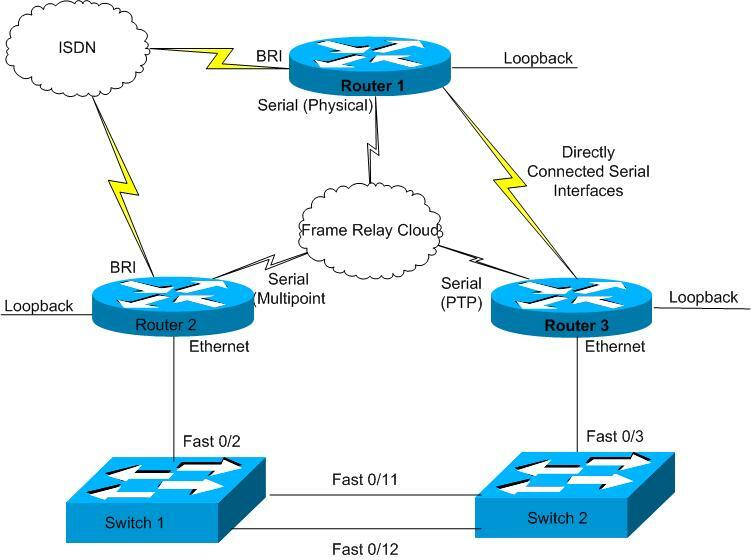 Realtime Projects Oriented training with Cisco Routers and Exam Preparation as well. CCIE Trainers and Practical Oriented Training. "The computer science/science or IT related candidates can join this program. " 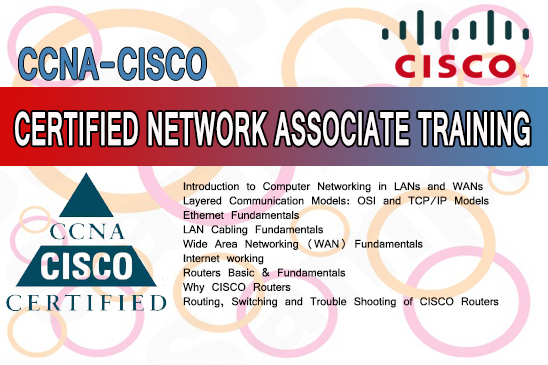 Anyone who are willing to learn Networking and established their skills in the field of CISCO Routing and Switching. The following people can join this training program. 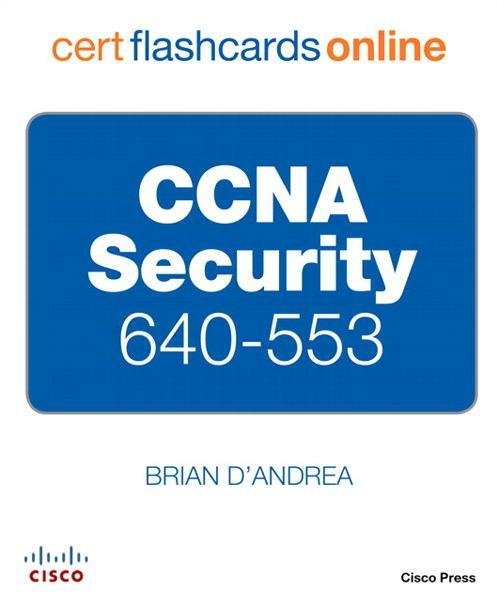 Market demand for CCNA professionals are always high in demands. According to the current status of the Jobs in the market the people who may have the sound backgrounds related to CISCO and its Certification, the person may got so many assignments related to Routers if they have the international credentials with them.